Heatizon utilizes self regulating (smart SR) heating cable technology to effectively melt snow and ice on concrete, asphalt and other surfaces.GutterMelt SR Heat Cable can be cut to length in the field for installation convenience and minimizes energy consumption by maintining correct melting temperature throughout the entire length. 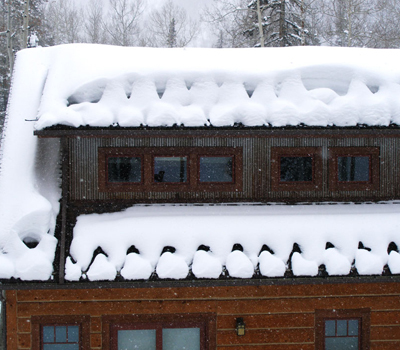 Heatizon utilizes constant wattage technology with mineral insulated heating cable (MI Cable) for roof deicing and freeze protection. 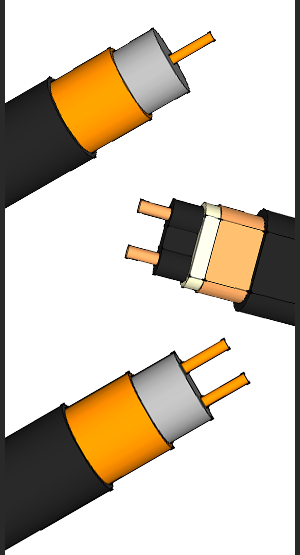 These MI Cables come in pre-engineered sizes of one or two conductors utilizing 120VAC - 480VAC. A durable MI Cable with a high desity polyethylene jacket to protect it from extreme temperatures and conditions. Heatizon GutterMelt heating products are ETL and CSA listed to UL standards providing another top quality Heatizon product for our customers. We strive to custom engineer the best performing systems based on the application requirements and job specific needs. 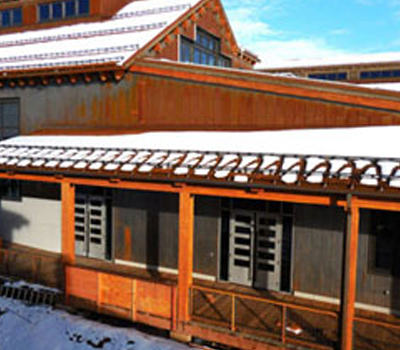 GutterMelt can easily eliminate roof ice, control snow loads, create water paths and even protect pipes from freezing! GutterMelt Self Regulating Heat Trace Cables are ideal for freeze-protection, gutter and downspout deicing, process maintenance of pipes, tubing, instrumentation and valves. Self Regulating technology changes heat output upon changes in temperature, raising output as temperatures decrease and falling output as temperatures increase. This durable cable can be cut to length and terminated on location. GutterMelt Mineral Insulated Heat Trace Cables are designed for freeze-protection, gutter and downspout deicing, process maintenance of pipes, tubing, instrumentation and valves. Mineral Insulated Technology is made to withstand high temperatures and can produce high outputs in specialized applications. MI Cables are fixed length and terminations are made at the factory. GutterMelt has tons of components to accomidate any install scenario. Base kits include everything you need to customize the installation. An out-of-the-box solution for effective and efficient snow melting. Manual or automatic, either option will optimally run your GutterMelt. Brackets and other hardware specifically designed for GutterMelt. Supplies to properly outfit GutterMelt to prevent freezing pipes. Heatizon offers repair kits for GutterMelt MI and SR systms. Heatizon and their distributors are always willing and able to offer support for GutterMelt. "We have used the (Heatizon) system for a few years and have been satisfied with its performance. It drastically reduces the amount of roof ice issues we have. We will be upgrading to an invisible solution very soon. The minimal amount of energy used to power the system is a big plus." © Heatizon 2016 All rights reserved.